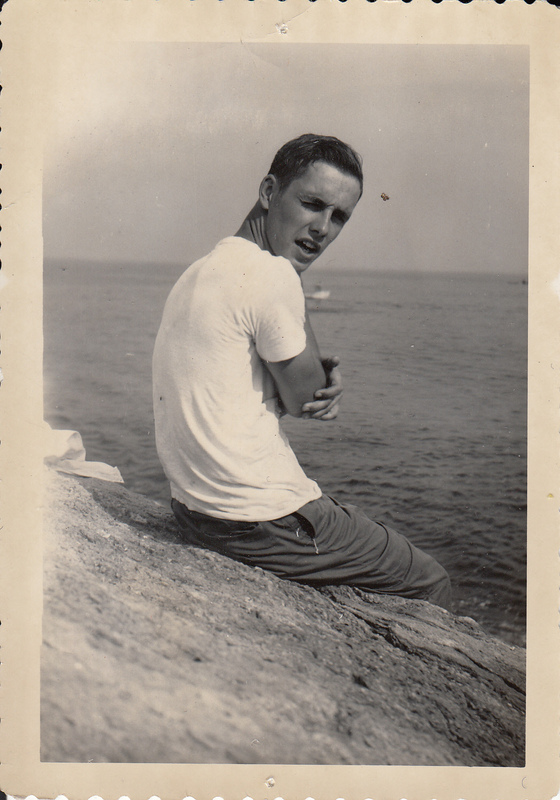 Photograph of Nick on Star Island, NH. Taken from Jean Caldwell’s scrapbook, who was Pelican staff from 1949-1954. She was also a housekeeper and operated the bookstore in the ’80’s. Caption on back reads Nick- the man I love.